It is my absolute pleasure and honor to introduce you to Jen. Jen’s story is a personal and deep one, and I am so honored to have been a witness to her incredible journey (and I know that journey is just beginning!) She has put so much effort and love into covering her hair, and has been wonderfully open about her struggles and successes. She truly has come into her own in developing the perfect tichel style for her unique personality – it’s so inspiring! Even though we’ve never met in person, I feel so connected to her, and can’t wait to the one day that we can meet! Here she is! 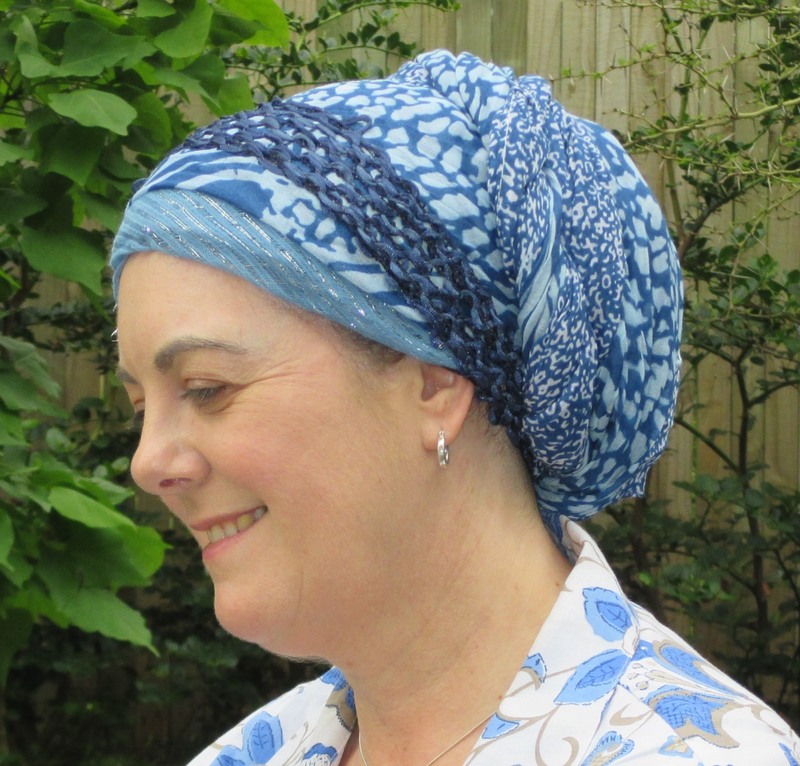 Many people have asked how I came to start covering my hair ….. I first felt the desire to cover in around 2009. At the same time we were coming out of the church and moving through the “Hebrew Roots Movement” – which turned to to be a very brief period, as intensive study led us both, separately, by the beginning of 2010, to prepare for conversion to Judaism. That, of course, is another story! I started covering very occasionally between 2009 and 2010 – mainly for Shabbat meals, but when we were coming up against more than the 3 traditional “obstacles” in our quest to pursue conversion (another story! ), I stopped covering. But there must still have been some underlying or subconscious desire deep within me, because I kept purchasing scarves! About 18 months ago, I started covering at home to read the parashah on Shabbat, and on sundays for shopping. Shortly thereafter, we started attending synagogue in preparation for conversion and I asked someone in a leadership position if I would be able to cover. I was told it was “not done” and I could wear a kippah if I liked. Wearing a kippah was, for me personally, absolutely out of the question. Only the Rabbi’s wife wears a kippah when she occasionally attends services. 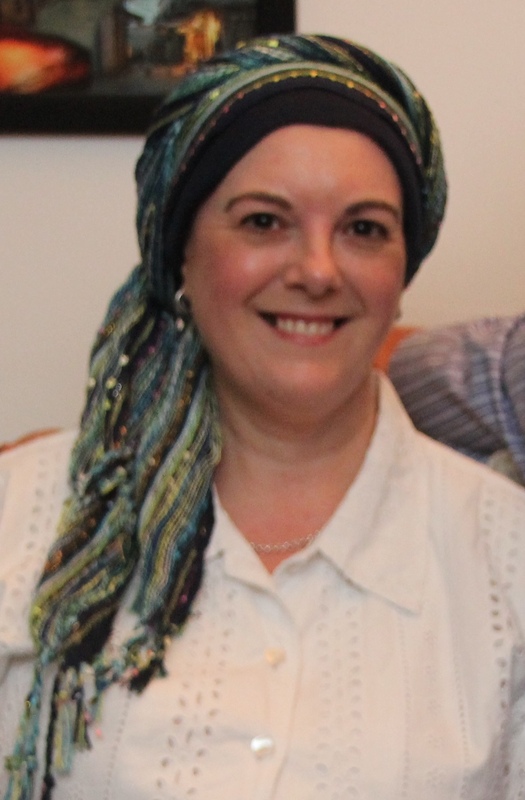 Hubby and I both understood the “not done” to mean “may not be done” so I continued to cover my hair on Shabbat mornings to read the parashah and then remove it to go to services. After a few months we thought to ourselves “this is ridiculous!” so in May we approached our Rabbi and asked his permission to cover. He readily agreed, he was almost surprised we had asked his permission and even more perplexed that we had both felt dissuaded by this other person. I still remember the first time I covered for a service. I was so self-concious and I know that people were looking at me. But I survived, and each week, for both the Kabbalat Shabbat and Shacharit Services, I attended, wrapped. At this point I was showing my fringe and doing very simple wraps. Around February/March I had come into contact with “Wrapunzel” on Facebook. Two amazing Jewish ladies, passionate about the mitzvah of headcovering, who first created a blog with tutorials and then opened an online scarf and accessory “paradise”. They, together with the Wrapunzel Fan Group on Facebook, gave me so much encouragement, support and teaching. Covering is something that is unusual in our city, even with a predominantly orthodox community, and it was extremely difficult for me to go to service after service, knowing that I was “sticking out like a sore thumb” and knowing that people were talking. Some people asked me about it directly and I appreciated the opportunity to try to put into words why I chose to cover. I continued to cover just for services and on sundays. I was too nervous about the reaction if I extended my wrapping to community events or for work. I decided to cover for work for Tisha B’Av and was met with quite a positive reaction. The timing probably wasn’t the best because I felt quite bad getting so many compliments on what was the saddest day in the Jewish calendar! I explained to my boss afterwards why I had covered and said I would like to do it more regularly. He told me that he didn’t care what I wore on my head!! I then covered for a two day Jewish conference in August, which was attended by about 150 Jews, mainly orthodox, and I received quite a few negataive comments and stares. I still held my head up high, though, even though on the inside I was a wreck! One of the overseas presenters wore a headcovering (the only other person present), and although I didn’t get the chance to speak to her, there was a “smile of sisterhood” between us. On 1 September 2014, I decided to “take the plunge” and cover full time for work and public, still showing my fringe because I’d had one since I was 13 (nearly 36 years!) and I thought I looked too wierd with it tucked in. My boss was a little “bemused” because I don’t think he realised that “more regularly” was going to turn into “all the time”. In late October, I made the decision that if I believed strongly in head covering, then I should cover ALL of it. And since then, I have not left the house uncovered, even to the extent of keeping a cap at hand should anyone knock on the door or for running down to the communal washlines. During this time I have acquired more confidence and maybe a little bit more skill! I still cannot express eloquently WHY I choose to cover. I just know that I HAVE to. There is a burning desire within me to do it, to honour my Creator, and to honour my husband. I choose to cover in a way that is both modest but fairly attractive at the same time. I don’t believe in looking ugly. But I’ve never felt ugly in even the most simple Israeli tichel. I feel set apart, beautiful, feminine. Whilst there may not be a specific instruction in Torah “thou shalt cover” there is enough “evidence” to convince me that it was a tradition even in those days. Rivka covering herself before meeting Yitzchak, and the story of the “Sotah” in Numbers are two examples. I still meet with criticism and occasionally it has been cruel and uncalled for. I have brushed it off in public and cried in private. I have sometimes said “I can’t do this anymore”. But when it comes down to it, I could not even conceive the idea of leaving my home without a covering. I have regular “tichel tantrums” when my scarves won’t sit properly (“tichel” is the yiddish word for scarf) and because of my problem wrist, sometimes battle with a simple knot. I am so grateful for a husband who supports, encourages, and even helps wrap my scarves when I can’t do it myself. I am also so grateful to the communities on Facebook who are there with advice, encouragement, support, love, friendship …. and yes, even loving honesty when I ask for opinions & advice. I do not regret my choice to cover, even though it is a “lonely” choice. I believe it is a beautiful mitzvah. And it’s a mitzvah I’d encourage all ladies to try! You might just feel as special as I do. What a beautiful story! Thank you for sharing… I, too, have “this feeling” that I need to cover and have felt this way for maybe 7-8 years. Due to the area of the US we live in, covering is viewed as something related to violent gangs and therefore, I am confined to covering when in a strictly Jewish community or when in Israel. 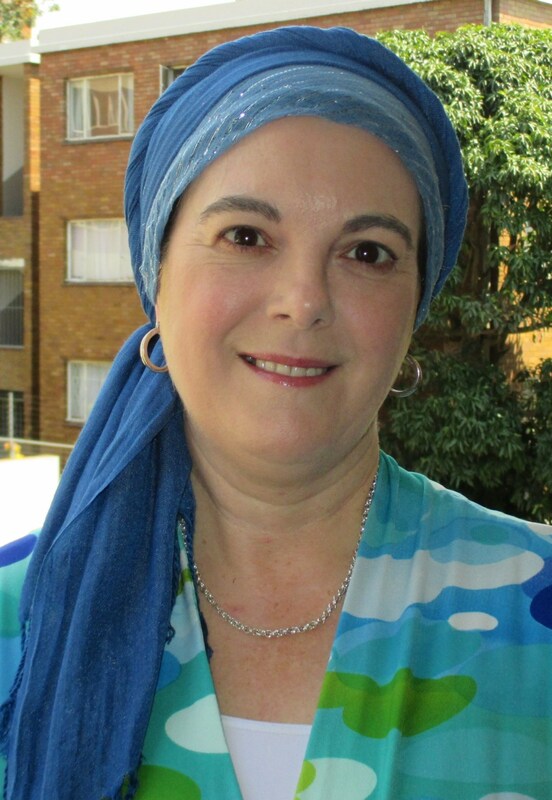 You whould write a book about your journey into Judaism and all that has come with it… like covering your hair. What a beautiful neshama you have! Thank you again for sharing! Such an interesting journey, and such beautiful wraps! I hope you find more support from your community in covering. Shalom aleichem, Jen! Jen, your story moved me, and it reminded me a little of my story and how lonely this journey can be. You are beautiful and I love your wraps. I too started to cover my fringes, a personal conviction that I embraced and I’m very happy with and like you, I do not go out in public without covering (for a year now) Isn’t it amazing how ones life change because of beautiful mitzvah? So happy you shared your story, now I admire you even more. Wow! What an inspirational story. I must say I am surprised by so much negative feedback from Orthodox communities. When I have received negative feedback about covering, it is usually from non-Orthodox people with misconceptions about the meaning of covering (such as concerns that it is a way to oppress women – how ironic that it is exactly the opposite!) In any case, good for you for staying strong in your convictions. While we all know that what Hashem thinks of our actions is what truly maters, it can be difficult to ignore the judgements of the people in our lives. You have a great story and congratulations on going with your heart and doing what feels right to you. It really does feel great to wrap one’s hair. I don’t really understand why, but it does. 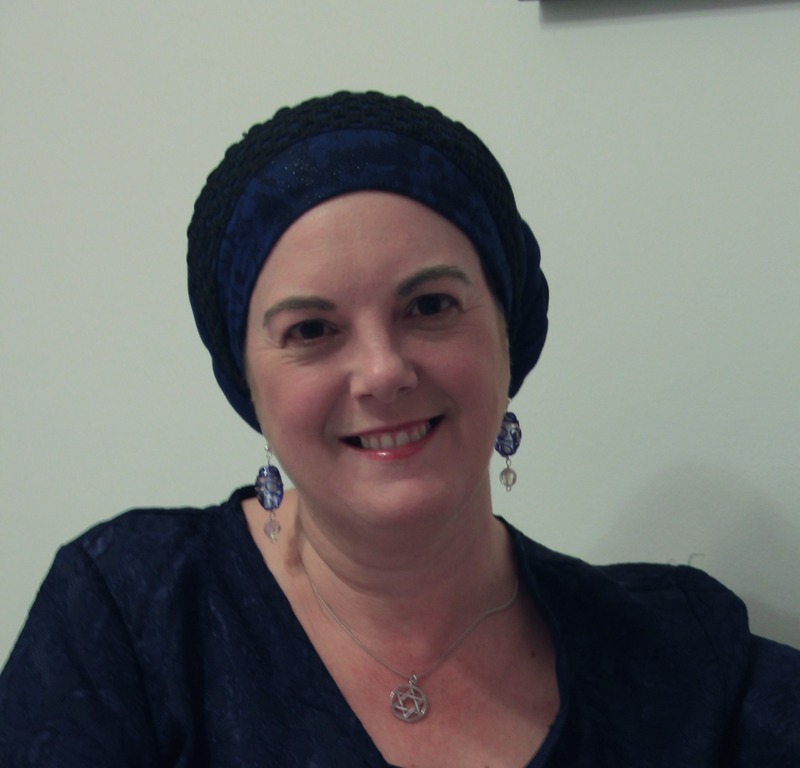 I’m really glad your rabbi supported you – mine told me my tichel-wearing isn’t jewish(!). (she sees it as a fashion statement and is okay with that). Thank you for your lovely story and sharing your beautiful wraps! Shalom! Thanks for sharing your story. I don’t understand why you experienced such negative reactions amongst Jews. Was this a group of reformed Jews? Covering and wrapping is certainly not new in the orthodox world. In any event, your style is lovely and you are truly a “wrapstar”! Aviva, our community is fairly integrated (orthodox and reform) so it was a mixture. Jen, I think you have a lovely testimony! Thank you for sharing with us. I am not Jewish, but Catholic. I felt called to cover my head when in church but was afraid that people would stare and laugh as no one else covered at my church. The first day I covered a woman burst out laughing and poked her friend to look. Hot tears stung my eyes but I sat down and tried to control myself. The next week I didn’t want to cover but finally did because of the calling I felt I had. That was six years ago. To date, we now have 12 women who cover regularly! We are the ‘sisterhood’ that you described, and we call ourselves ‘sisters of the veil’. By your silent and loving example perhaps someone else who had thought about covering will be encouraged because of you. I am not Jewish, but I am fascinated with the hair coverings and I love to see the beautiful creations that are made by the Jewish ladies who cover. I will often cover my hair with a scarf of some sort, worn like a veil, as they do in India, over the head and around the neck, when I attend liturgy at my Byzantine Catholic Church. I feel it gives me a certain privacy that I don’t have when my hair is NOT covered. Looks nice and fits you very well! I’m puzzled about the negative comments you got. I’m not Jewish, and so far I was under the impression that women might be criticized for not covering, but for covering…? Why do people care so much about what exactly someone else wears on her head? Reform congregations sometimes have difficulty with increased observance. I am a cantorial soloist in a small reform congregation. And I cover or wear a kippah or a hat whenever I am there. I have received nothing but positive comments about the tichel. They are lovely, after all. I think the movement is increasing. I apologize for my bad English, I’m Italian. Immediately after the wedding I felt that for me it was the right thing to do, I had a few months of difficulty because here it is viewed with suspicion, or is associated with the use Arabic and in this sense is seen as a “repression” of female freedom . For a long time I tried to explain that in Judaism the head covering for women is not a crackdown but a choice linked to the specific nature of the relationship with her husband and modesty. 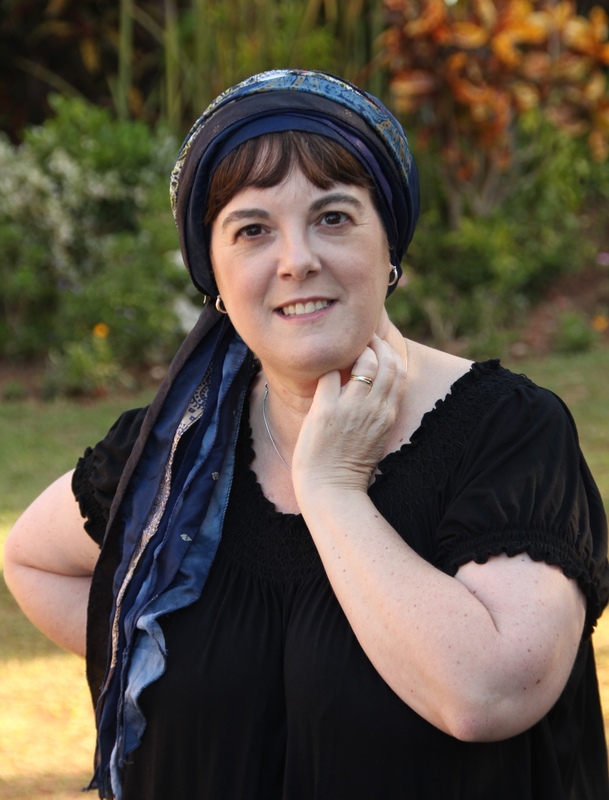 Through this wonderful blog, I learned to use my scarves and my headscarves, every time I go to Israel I buy new ones and I feel good and beautiful as well. Sometimes I go out for speed with a cap or a hat but in most cases I devote attention and care to the head cover. I have to say thank you so much for opening up your journey to follow Mitzvah, as I too am on the journey. I left the christian church a few years ago and began going to a messianic synagogue and shul. I have learned so much, but I still am a baby. I never thought in my mind, I would never cover my hair, it’s long, always get compliments, and to cover it and let everyone see my big forehead and round fat face scares me that my husband will say- yuk! I currently have just bought a snood and wondering now about scarves, then found this site:) Then, you Jen spoke up and shared and what a treasure you are! My stood was at the post office on the 5th and then you had this posted on the 5th. Is it coincidence or something more. I am excited, but concerned on what scarf I need, hoping I wrap it right, and what if it all falls apart. It kinda makes me nervous as I am a nurse and wondering what my employer will say and what everyone else will say. I am going to do it, please pray as I go forward in my faith! Blessings to you Jen and thank you for sharing! I love your story. It touched me. I too struggle with people questioning my choice. But I think in the end we Must follow what has been placed in our hearts and not be so worried about societal norms- acceptance. You are sooooooo beautiful! I am Christian. I am bald. I adore every morsel of the darling Wrapunzels’ postings. I struggle to wrap. I comment to say how appalling are those people who have been hurtful in their reactions to Jen and commenters’ headwraps!!!! I despise everything about that type of unkind behavior. I support and respect each of you! Ah yes, one of the things you have to learn when becoming a Jew is that everyone has an opinion. Not just about politics, the weather, the best doctor for hip surgery — no they also have an opinion about you. It’s one big squabbling extended family and if you think you can walk out the door without comments, insights, words of caution, advice, and warnings, well, think again. It all ultimately comes from a place of love and wanting the best for you, but it can feel invasive. Just remember “two Jews, three opinions”. If you hear an opinion you don’t like, ask another Jew. That person will probably contradict the first and off you go. Hopefully, in the end, you land in a community that loves you for who you are and what you bring to the community and the Jewish people. What you wear on your head should be given a lot less attention than those other factors. I am an orthodox Jewish woman who has covered her hair — sometimes more sometimes less — for almost 40 years. I’ve wear hats, crocheted caps (that I make) and tichels, whatever moves me that day. Yes, I have gotten some “interesting” looks from people both within my own community and certainly when “out and about.” I hold my head up high knowing that for me this is the right thing to do. I’ve gone to ultra orthodox affairs in New York where I’m the only woman NOT wearing a wig but wigs are not my thing for reasons that are not for here. I think your journey is an amazing one and you should continue to feel value in how you feel and what you do. Much hatzlacha in your journey.